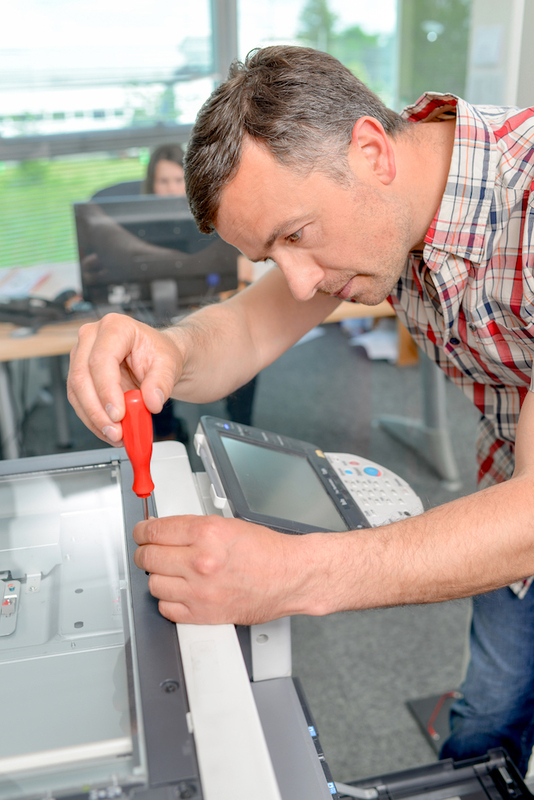 Having access to a professional technician for all of your enterprise’s printing equipment is always a valuable asset. When equipment goes offline or the print clarity just doesn’t seem as high as usual, Tech Dogs is ready to provide a wealth of knowledge and expertise in troubleshooting and onsite repair. Simply complete the Quick Form below and receive an email confirmation once your request is received. Our help desk will contact you to confirm your request and any special instructions. * Clients with established accounts, please view the Preferred Client Portal to expedite a work order request. If you’re new to Tech Dogs and want to try our services, or if you simply don’t have your Preferred Client Portal log-in credentials, please complete the Quick Form below and our help desk will contact you. Tech Dogs provides office printer repair, desktop and network support, toner cartridge supplies, and more to commercial organizations across Plano, Richardson, Garland, Frisco, Dallas, Fort Worth, Austin, San Antonio, Houston, and beyond.